The 3 LED XML light is a great tool for those long winters of riding. The light is more than bright enough to illuminate your route either on the woods or in the trails, and easily catches the attention of drivers. With a compact battery (that I typically mount to my frame) that has a long wire and a hook-and-loop attachment system, you can mount this light almost anywhere on whatever bike you're using. The mounting system makes it super quick to take off as well for commuters. The light even has variable brightness settings to prolong battery life, depending on your needs. We love these lights, and for the price, they can't be beat. Get one HERE. Crank Brothers are known for having some of the best accessories and gear on the market, and that certainly extends to their multi-tools. Well crafted, durable and compact, they have created a winner in the 19-Function tool here. With every type of tool you would need to repair something trail side or on the road, you'll never be worried about getting stranded again. Grab on HERE. Riding outside in the winter can be brutal. But as the phrase goes, "there's no bad weather, just bad gear." And honestly, that's mainly true. Finding what the good gear is can be a challenge though, so we've done the work for you. The Pearl Izumi Amfib tights are the best. If you want to stay comfortable during winter rides, you need your extremities to be warm! These tights keep you toasty, but also block wind and rain. So no matter how fast you're whipping down that hill, the 0 degree windchill and snow won't be a problem. Pearl Izumi nailed it on the features too. Our favorite has to be the stirrup style loops for your feet. They keep the tights from riding up and letting in air, rain and snow. We can't recommend these enough. Buy them HERE. Every rider wants to be safe. Wearing a helmet is one way to do that, wearing a Hi-Vis helmet is a GREAT way to do that. Even if you already have a helmet that works, having a backup is always a great idea, especially if that one can be used on cloudy days, or when riding near dawn, dusk or in the dark. Your head is the only part of your body visible from all angles on the road, so having it be the brightest part of your kit, might just save your life. Lazer is on board with that and are making lots of great colors for their Z1 helmet. Check them out HERE. Winter can be one of the most enjoyable times to ride, if you have the gear. 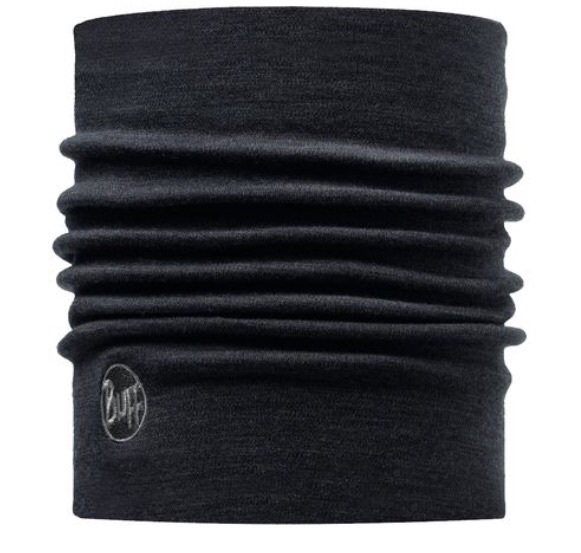 One piece of gear that is highly versatile that we love is the neck gaiters by Buff. Made from a few different materials, you can get them in almost any color imaginable, and in wool for a super warm option. The beauty of what Buff has made is that they can be used to keep out cold air from your jacket, they can be used as a hat with an open top, and even as a sort of balaclava by stretching them just right. That flexibility makes them usable in all kinds of conditions, and a great addition to your cool weather gear stash. Grab one HERE. When it comes to the jackets, there is one industry standard that all other jackets are measured against: the Castelli Gabba. This jacket is your ultimate protection against cold and nasty weather. Designed to be the first line of defense against any conditions, the Gabba is water and windproof. Mix that with it being warm, and it’s likely you’ll never want to wear anything else. If you’re looking for the best cycling jacket there is, that all other companies mimic, this is it. Discover the best HERE. Another great item that every road cyclist needs at some point is new tires. It only takes a few thousand miles to wear out tires, so some riders will go through more than one pair in a year. A great choice for anyone is the Continental Gran Prix 4000s II. Not only are the durable, especially in the wider 25 and 28mm options, but they are fast tires. There’s nothing quite like riding a good tire. It impacts the entire feel of your ride. Forget fancy carbon frames and wheels, your tires can make a massive difference in the quality of your ride. If you’re looking for a safe gift for any cyclist, give them a pair of these. They will use them and love them. Buy a pair HERE. Not everyone enjoys the road though, and we would be remiss to not mention those who have a mountain biker on their christmas gift list. One all-around tire that is proven and loved is the Maxxis Ikon. 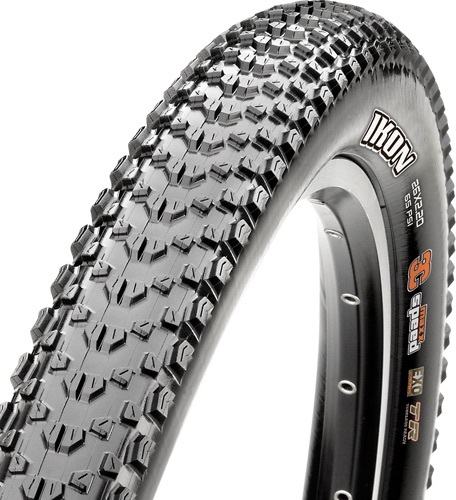 With a relatively low and consistent knob profile, its a great tire for a lot of different types of trail. And, they’ve got great rolling resistance to boot. Having a quiver of mountain tires allows you to be ready for any type of trail or conditions. This is a perfect addition to an mountain bikers life. Get the Ikon HERE. If you watch a pro mountain bike race, there is one thing you’ll see a lot of: ESI grips. As the most popular grip in mountain biking, you can’t go wrong picking up a pair of these. We happen to love the CHUNKY size, but they are all great. Light, easy to install and grippy no matter what the conditions, ESI grips should be on every bike. And grips do wear out. So if there are some already on your loved ones bike, chances are they’ll need to replace them at some point. Give them one less thing to think about when that time comes. You can get them HERE. Perhaps the ultimate gift for the mountain biker this year, is the Bontrager Flash Charger pump. Released just this year, it is the first of its kind, and quite the innovation for the world of cycling. Our guess is that every rider will have one of these type of pumps in the next 3 years. The genius of the pump is in the onboard pressure chamber. Traditional pumps allow you to push air directly into a tire. The Flash pump allows you to pump air into a chamber, pressurizing it for a single release. While this isn’t necessary for road tires (as they use tubes traditionally) most mountain bike wheels are now equipped to be run tubeless. This makes the process of initially seating and sealing the mountain bike tire onto the rim fairly tricky, and a process that most to this point used a compressor to accomplish. Make your mountain bikers life much easier with this innovative tool! Grab one HERE. Want to really spoil someone during the holidays? Then buy them a Garmin that will last them years and can take them thousands of miles. These little GPS devices have been specifically designed by Garmin to handle the rigors of bumping around on a road or mountain bike in any conditions. Mud, rain, snow; nothing stops these little computers. With models for every type of rider, they really have developed something for everyone. The Edge 520 has tons of features including the ability to program in turn by turn directions for routes you might not be familiar with all while tracking your ride and showing Strava segments live on screen. 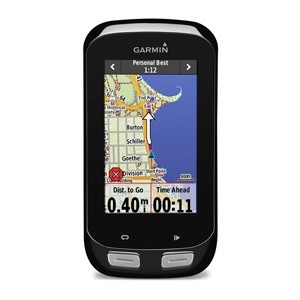 Garmin’s top offering is the Edge 1000 that comes with every feature available on the market today, and is considered to be the industry standard for all bike computers. All of the Edge computers are compatible with accessory devices like their Speed Sensor, Cadence Sensor, Heart Rate Monitor and all power meters on the market. You can’t go wrong with one of these for any rider in your life. Check out them out here: Edge 520 and Edge 1000.